Andrew Alleng did not know that after he helped so many people in the Republic Bank Power to Make a Difference Programme, those same people would come to his assistance when he needed it the most. Alleng, along with his brother Tony, has been using culture to make a difference in high risk areas through Zebapique Productions. The Alleng brothers bring in people from deprived areas and allow them to make costumes at Zebapique. 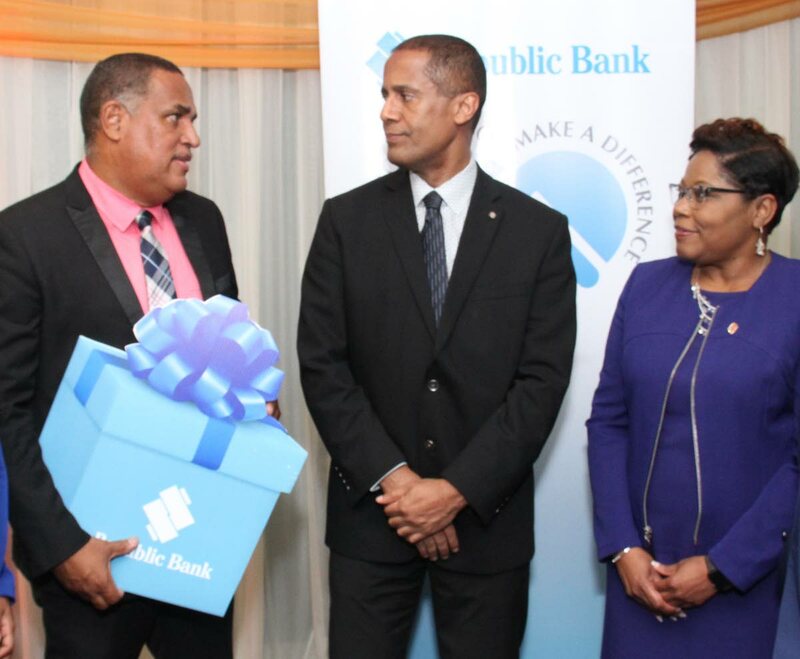 Zebapique Productions was one of 35 organisations to receive sponsorship at the launch of phase four of Republic Bank Ltd’s programme at Republic House, Park Street, Port of Spain, last Thursday. Andrew, who was teary-eyed as he gave his address, relived the horror of losing his house to a fire earlier this year while he was out of the country. Andrew said he knew the Power to Make a Difference Programme was making a huge impact, as he was now the person receiving assistance. Other charities that received sponsorship included the Adult Literacy Tutors Association (ALTA), Exodus Steelband Orchestra, Republic Bank Laventille Netball League, the Emancipation Support Committee, the Cancer Society, Holy Rosary Church and SickKids Foundation. Palmer-Keizer spoke about the number of people who have been affected by the programme. Nigel Baptiste, managing director of the bank, is anticipating the future as the programmes tries to continue changing lives. Reply to "Alleng: ‘RBL’s Make a Difference Programme also affected me’"